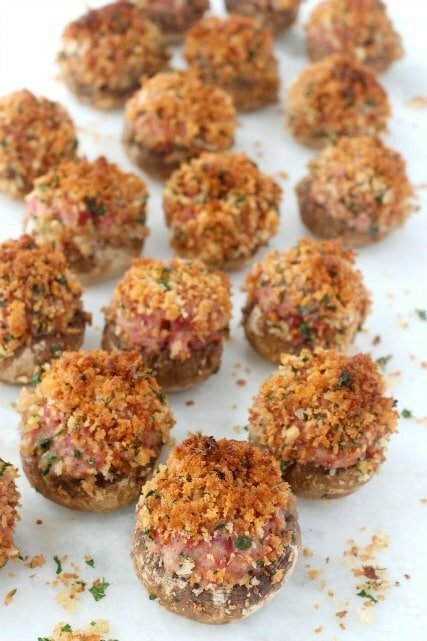 These Corned Beef Stuffed Mushrooms are going to be your answer to all the leftover corned beef from St. Patrick’s Day. Make them for your party after the party! After a couple of sandwiches and straight up snacking from the fridge, you’re probably going to still have leftover corned beef. If you’re like us that its. Usually we make a way bigger piece of corned beef than anyone can eat since it’s a once a year kind of thing for us. 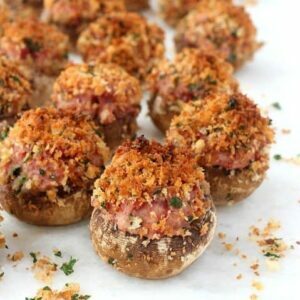 For when you get tired of the usual though, you should totally try these Corned Beef Stuffed Mushrooms. 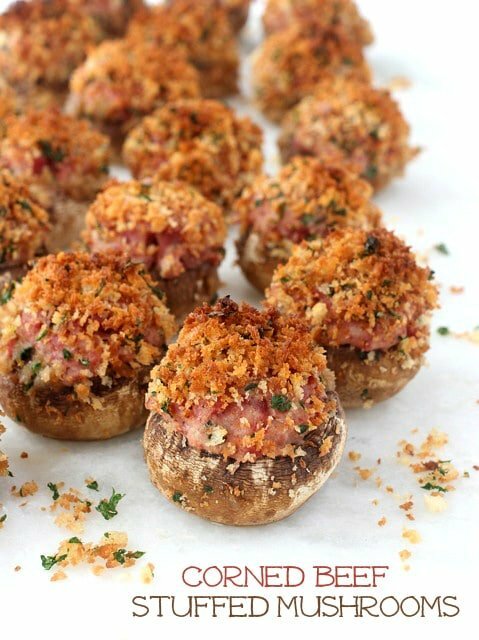 I’m a big fan of stuffed mushrooms for appetizers, like these Crispy Crab Stuffed Mushrooms. One of the things that I like to do is turn leftovers into something completely different that what it was in the first place. 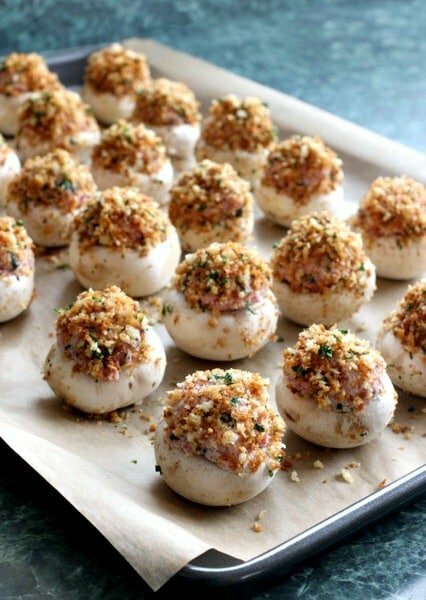 The filling for these Corned Beef Stuffed Mushrooms just takes a few minutes to throw together with your leftover corned beef, cheese and some seasonings. The panko topping is just bread crumbs, butter and parsley toasted in a small pan to give these ‘shrooms some crunch on the top. Get your mushrooms cleaned off and start popping off the stems. Fill each cap with a spoonful of the filling and top with that panko topping. Bake for 15 minutes then start scooping them in your mouth. 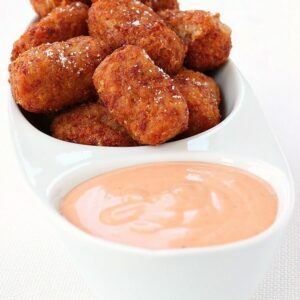 Serve these up for appetizers or for dinner – grab out all those other leftovers from your St. Patrick’s Day dinner and you’ve got yourself another party. Are we the only people that do that? The party after the party? Somehow the second party always turns out to be the best! 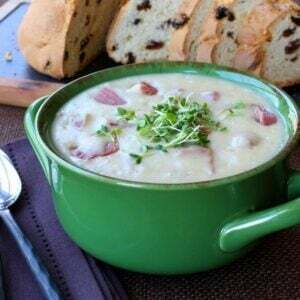 Combine the corned beef with the parmesan cheese, chives, mustard, worcestershire sauce, garlic powder and cream cheese in a medium sized bowl. You can do this by hand or with a hand held mixer. In a small pan melt the butter and then stir in the panko bread crumbs. Let the bread crumbs brown, stirring often until they are all toasted. Fill each mushroom cap with about a tablespoon of the mixture depending on how big the mushroom is. You want a good amount of the filling in each one. Top with the panko bread crumbs and bake for 15-18 minutes. oh man…those look so good! 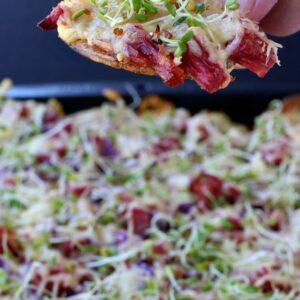 If we have any leftover corned beef (cause it’s a favorite of the kids) I’m definitely going to make these! This is a great recipe!!! I made these with the big mushroom caps. Just swapped out a couple of things bc we are a lactose intolerant home. Instead of using cream cheese, I used stove top stuffing; swapped butter for a bit of olive oil and shredded a bit of lactose free cheese like Cabot and mixed the corned beef with it. followed the rest of the recipe as is. That sounds wonderful Jeannie! Thanks for checking in!